Other business offers ads in Brisbane. 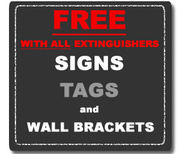 Thank you for visiting our free advertising website Other business offers, Brisbane section. We provide high response free classifieds and free advertisement. Use our online free Other business offers classifieds placement system to find, list, offer Other business offers online! Football Federation Northern Territory is the state governing body for soccer in the Northern Territory, Australia. It is affiliated with Football Federation Australia, the national governing body. If you want to get more information about best sports development programs and more about football sports than here is best option for you. The Pool Renovation Company are your local pool specialists, servicing homeowners in the Brisbane and Gold Coast areas. Whether you want to build a new pool or renovate your old one, we can transform your dreams into reality. From small repairs, tiling, filtration, heating, fencing, or even a total overhaul, the Pool Renovation Company can create an outdoor sanctuary for you and your family today. Best Places To Surf | SVN Seas Adventure Co.
SVN Seas Adventure Co. is well known company that offers best places to surf in Australia at affordable prices. We combed through the local favourites for a new take on the best places to surf in Australia. For more detailed information call us today 0450 734 430 or visit our website..
Are you tired of looking for a proper awning that can easily fit into your residence? You do not need to worry, get the most effective support from TC Blinds. We offer a comprehensive solution for any kind of exterior protection of the house. You have other things to do, so you need to stay out of extra work burden. Rob Martin electrical are a friendly and professional team of electrical contractors specialising in Air conditioning installation, repairs and service. Phone:	412083349 Email:	rob@robmartinelectrical.com.au Address: Bracken Ridge Brisbane QLD 4017 Australia Website:	https://www.robmartinelectrical. Security cameras or the Cctv cameras are a great way to provide better security for your home as well as workplace. Not only are they helpful in providing you video footage of the events occurring, they also act as a visible and virtual deterrent for invaders and criminals. It is an effective way of ensuring security of your dear ones. At King Fire, we take pride in having over 20 years experience servicing customers across Australia with professional fire safety advice and a comprehensive range of fire extinguishers. From dry powder, CO2, foam extinguishers and fire blankets, our priority is to ensure the safety of our customers by providing quality products at the best possible prices. For business promotional products, Promsource Australia is the best company among all in Australia. 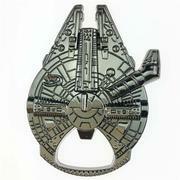 We are providing quality services like corporate gifts items, merchandise logos and more in Australia. Since 1998 we are printing logos and business slogans for many business owners and companies. Book your Promotional Products on just one call. There are just a few days left for Christmas and you may be stressed finding the right gift for him. Give such gift, he will be excited to receive don't go with the conventional gifts like a tie, watch, wallet, golf balls or a universal remote. Pick Man things unique men's novelty gifts which make him feel delighted this holiday season. CRAPS Australia is a state of the art web platform, serving to bring together aggrieved customers in Australia, to lodge consumer complaints online without setting any predefined guidelines. It boasts of being neutral by not endorsing any brand or supporting specific sides. Thus, the website responsibly provides a space for mutual settlement between the company and the offended customer, as well as, makes potential customers aware of such irregularities and way to go ahead. We offer a comprehensive range of legal services relating to Family Law and have built up an enviable reputation in Brisbane for our high standard of work we have served many satisfied clients. Level 5, Suite 2, 117 Queen Street, Brisbane Qld 4000 1 300 CORNERSTONE (267 637) 07 5538 9119 Cornerstonelawoffice prav@cornerstonelawoffices. No Win No Fee Lawyers Brisbane, The Queensland Law Society refer to this types of agreements as “conditional costs agreement, ” and certainly are not new. When my father started practising personal injury law in the early 80’s here in Queensland, these agreements were an excellent way to ensure access to justice and reduce the financial burden on a person who was cash poor due to not being able to work because of their injuries. BLUEDOG BUSINESS CENTRE in Brisbane, where we provide cost effective Serviced Offices, Virtual Office Services and casual hire of Meeting Space. *** Address Package - $39 plus GST / Month 1) Business Address & PO Box Address 2) Mail Redirection Service 3) Fax Management (Facsimile number provided) 4) Free email notification of any incoming mail *** Answering Call Service Package - $89 plus GST / Month 1) Answering calls and taking messages in your business name and pass them onto you via SMS or E-mail 2) Diverting Call Service: Calls will be forwarded directly to your mobile or any other nominated number (Diverting call charge applicable) ***Meeting Package $79 plus GST / Month 1) 5-Hour usage of boardroom & meeting room per month Address: Level 1 / 16 McDougall street Milton, QLD 4064 Website: https://www. We love a good party at Roam’In Pizza. But, we love a party where you can leave it all to someone else even more. Brisbane Party Catering gives you the best catering services to select for your wedding and event celebration.. Qualified Herbalist and Naturopath who is commented to nurturing her passion for the plant world by crafting herbal tea infusions, botanical products and supplying to those who are empowered to participate in and own their health. Phone: 0402 609 789 Email: sharynb@ionherbals.com.au Address: Tolga QLD 4882 Australia Website: https://ionherbals. Shop for classy handmade gifts in Australia at the best price from mysticbazaar.com.au. Subscribe today for the latest updates and offers! Free Shipping Available in Australia!. Fully insured – truck and payload Over 25 years experience with trucks Experience dealing with Hire Companies & Mines 8+ years experience in Emerald area Competent and Experienced tilt tray and oversize operator Mature, Honest, Reliable Clear HC Licence Trained in OH&S best practice Trained in Customer Service Good CQ knowledge, especially mine sites. 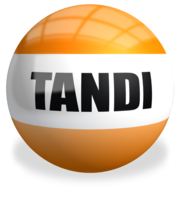 TANDI online Induction training software helps Australian businesses simplify and automate their employee induction process, providing a comprehensive understanding of safety and compliance with workplace laws and regulations. The technology streamlines your inductions, fulfils your legal obligation to keep records and can be accessed by your employees from any location via internet. South America is a continent located in the western hemisphere, mostly in the southern hemisphere, with a relatively small portion in the northern hemisphere. It is also considered a subcontinent of the Americas, which is the model used in Spanish-speaking nations and most of South America. The options in Latin America are endless: romantic getaways, family vacations, beach holidays, adventure tours and expeditions, historical and archeological sightseeing tours, cultural and natural excursions. We're a Brisbane based boutique wedding photography studio servicing all of Queensland and Australia. We capture candid, raw and natural wedding photographs. For a quote contact call 0404 88 44 22 today!. We both love making people happy its this shared passion that allows us to form the perfect partnership.While we dont want to sound to cheesy, photography makes us truly happy, andwe believe its our greatest skill! Through our wedding photography service inBrisbane, we can share this joy with you.. Durable, outdoor commercial barbecues for Australian conditions - enquire today http://www.parkquip.com.au/. Dr Dan Robinson is a highly trained rhinoplasty surgeon. He is a fully qualified ear nose and throat surgeon and has also completed a full year of fellowship training in facial plastic surgery. During this year Dr Robinson had advanced training in rhinoplasty with a specific focus on cosmetic rhinoplasty and nasal obstruction. V Pennisi & Associates have Fight Wills, Contested Wills, Estate Lawyer and child support lawyers services in North Brisbane. To know more, visit at our website portal. Fight Wills Brisbane. Get the fully framed shower screens at River City Glass. We are fully installed brand new custom made shower screens, to fit your bathroom at affordable rates. We are providing our services in all areas of Brisbane including Capalaba, Alexandra Hills, Victoria Point, Cleveland and Carindale. We also manufacture and install semi-frameless and fully frameless screens. All Your Major Crane Hire Solutions for South East - South West QLD. All types of Construction Industries. Residential, Commercial, Industrial & Mining. Our Fleet Includes - 20t and 25t Franna Cranes. All Terrain cranes up 55 Tonne, Telescopic crawler crane up to 100 Tonne casual and long term hire, dry and wet hire. Frameless shower screens will be taken place of sliding shower doors in the future. Old fashioned sliding shower screen doors are generally challenging to clean. Frameless shower screens will be able to help out with energy conservation. 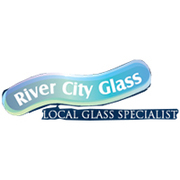 River City Glass specialise in making and installing your new shower screens as quickly as possible. Siretail provides you the premium quality shop fittings for your retail store in Melbourne, Brisbane and Sydney. Here you can get a wide range of choices and better quality shop fitting selections. 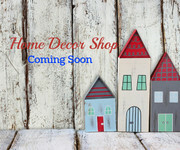 Check the site Siretail for more details http://www.siretail.com/. Australia free ads for Other business offers, Brisbane, Other business offers free ads Brisbane, Other business offers for sale Brisbane, Other business offers to buy in Brisbane. Find on this page free classifieds for Other business offers in Brisbane. This listing includes classifieds for sale and to buy in Brisbane. FREEADSAustralia Brisbane offers you a platform to post free advertisements or classifieds for Other business offers in Brisbane. FREEADSAustralia helps you search, find buy, sell, rent or hire in various categories like apartments, goods for sale, local services, cars , jobs and many more in Brisbane. If you posted an advertisement in category Other business offers of FREEADSAustralia Brisbane before please use Edit my ads button to change or cancel your ad. Other business offers Brisbane ads Brisbane, Other business offers classifieds Brisbane, Other business offers free ads Brisbane, ads for sale Brisbane, ads to buy Brisbane, FREEADSAustralia. Find here ads for sale, to buy and rent in Brisbane. Goods for sale in Brisbane, vehicles for sale in Brisbane, Brisbane real estate for sale, Brisbane property for sale, property for rent in Brisbane, business ads in Brisbane, Brisbane business classifieds, services in Brisbane, Brisbane services ads, jobs in Brisbane, pets for sale in Brisbane, Brisbane dating, Brisbane cars for sale.